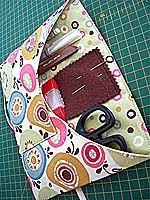 You SEW Girl: Zipper feet and zipped purses. Zipper feet and zipped purses. Yes, it is possible to put in a zipper without too much angst, and it's possible to finish with great results. 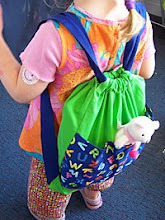 Good instructions, a few hints and the right sort of zipper foot can all make a difference. I can help you out with the first two of these... the foot is up to you. People often ask what they're doing wrong, that they can't get a sharp finish on their zippers. Having seen lots of machines and presser feet in action, and having demonstrated zippers on other people's machines in classes, I've come to the conclusion that the style of zipper foot is a big player. You see this style of snap-on zipper foot...? Not even I can put in a good zipper with it. 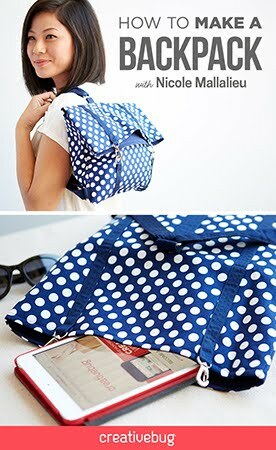 And I can put in a good zipper. 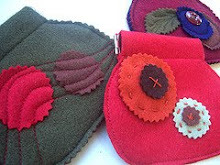 Especially when making bags, with all their enclosed spaces, bulky fabrics and bulky zips, that big lump on the back of the foot just gets in the way and causes trouble. 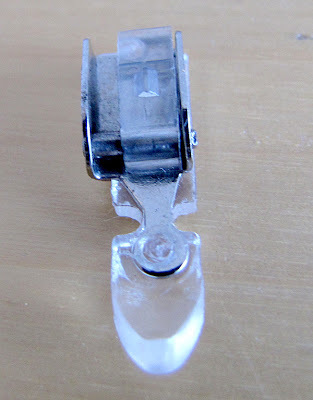 Some machines come with a lovely narrow zipper foot (like the Bernina foot, in the photo directly above), and some come with adjustable or sliding zipper feet, like the feet in the photos below. Others have that wide snap-on number. If your machine came equipped with one of those wide ones, I'd suggest you start looking at the alternatives. The designs of adjustable feet vary a bit between brands and vintage, but they all do the same thing. They all allow the full length of the foot to glide easily along the side of a zipper or any other raised object, just behind the needle. 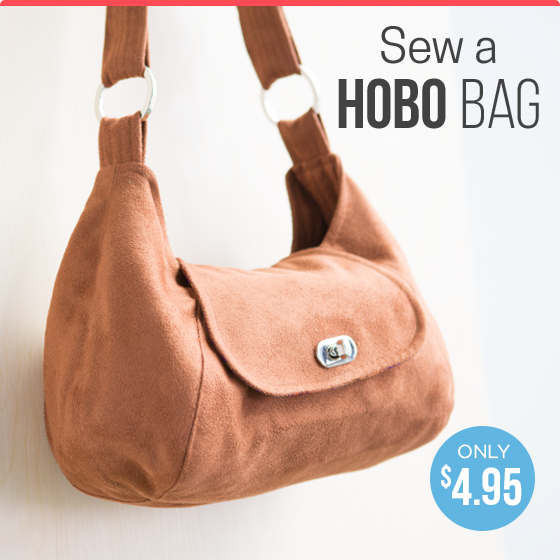 This means that you can sew in tricky places and around tricky things like zips, piping cord and magnetic catches. The two pictures above are current model generic zipper feet, and are available in long or short shank fittings. 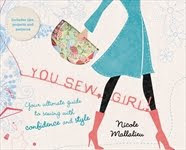 These particular ones are from Sew Much Easier (a YOU SEW GIRL stockist). The two pictures below are from my 1980's model Singer and my 1960's model Janome machine. They both fit current model Janome, Singer and Brother machines. Check any old machines you have about the place, you might just have one! 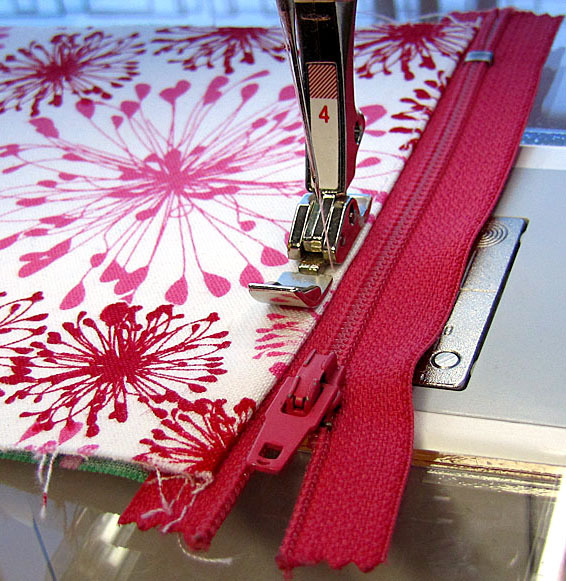 The foot can slide either side of the needle so that you can sew as close to the edge of the zipper as you like. 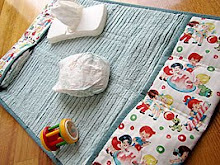 They're also good for sewing piping and getting close to other lumpy things that might be on your fabric (magnetic catches, beads and whatnot). This is another adjustable zipper foot that I have. It's a snap-on for another 1960's Singer machine of mine. The little plastic bit near the snap-on bar thing (serious tech-talk here!) moves from side to side, allowing the foot to snap on either side of the needle. Clever and effective ...but really tiny and fiddly. Sort that bit out, and you're a third of the way to better zippers! Now... for the good instructions, tips and hints, we have the newly-revised extended-dance-mix version of my old Coin Purse Kit .... I've added lots of extra full-colour photos to completely explain the whole process and I've tweaked the instructions substantially. Best of all, it's now a PDF that you can find HERE and download immediately. 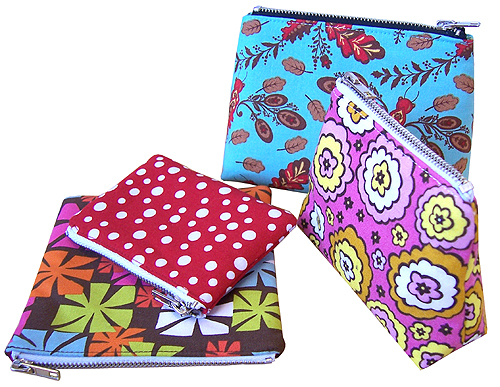 ﻿I use these little purses as my go-to gift for kinder and schoolteachers (and for staff Christmas presents one year), combined with inkjet fabric and my girl's artwork. They're always a hit! Oh dear. That's my zipper foot E that you are showing. At least now I have an excuse for why it's so hard! Both of my Janomes came with that crappy snap on zipper foot. But you can definitely purchase one of the slidey ones for Janomes...I got mine on Ebay. It's a gem and I wouldn't be without it! I never use that other one. I'm so happy to read this, I had no idea there were other types, and yes, I have the chunky one, and no - I've never, ever (though have tried a ridiculous number of times!) sewed a zip that was satisfactory. I am so getting a different foot now! I have always said those stupid wide zipper feet were useless!! Luckily my old Elna foot ( narrow zippy) fits my new Janome, or I'd be lost. Even my old treadle has a narrow zippy foot! Obviousley the manufacturerers are satisfied with crummy pipiing and zippers. That is another thing that I love about my 'lil ol' bernina. you know I really do love you to bits! First electric machine I got had that first dreadful foot. I complained about the sticky out bits endlessly. My fanthypants Husqvarna even came with one. But read the foot catalogue (many times and with a pile of post-its) and once I bought the narrow zipper foot, all systems were go. I love it! I use that, my ordinary pressry foot and the blind-hem foot (for edge stitching actually) All The Time. Walking foot is only used when quilting and the teflon foot for laminates. you put in a good zipper. That's like saying Australia is hot in the summer! And I thought it was just my self-taught -make-it-up-as-you-go-sewing skills, when all the time it was the wrong foot on the machine!. Might need a trip to the local janome shop soon then! I have one of those absolutely useless zipper feet ... I never got on with it so I'm afraid it got consigned to a drawer and I use my standard presser foot - it's not great but I can make it work! My sewing machine is so ancient (and discontinued) there's little hope of finding something better that fits it now. Maybe I just need a new machine ....!! My machine came with that terrible zipper foot. The lady at the store warned me about it, so I was able to buy a narrow zipper foot at the same time. I've never used that big chunky one! Argh! My machine came with one of those horrid ones. I wrestled with it for a long while and eventually managed to cope with it, but after reading this post I think I may have to buy another one if I'm ever going to do any serious zippering again! Thankyou, thankyou and thankyou! I have my new zipper foot on its way from Sew Much Easier as I type - I'm looking forward to setting that "E" style zipper foot aside...permanently. And in one of those nice little twists that we all like so much, I only just received your lovely A-Line skirt pattern a week or so ago...and I ordered that through Sew Much Easier too! (And apologies for any repeats of comments by me - i thought I had commented on this post last night but I can't see my comment anywhere). OMG a zipper epiphany! I've been struggling along with that E type zipper foot wondering what on earth was wrong with me. I desperately need to head to the shops before making any more cushion covers. It never even OCCURRED to me that there might be an alternative to my piece o' **** chunky zipper foot. This is what the proceeds of my next cushion sale will be invested in! Terrific clear post as usual Nikki! I'm going to share this one with my students as they don';t believe me when I show them a coupe of different zipper feet to use! Thanks. I had no idea there was an alternative to that horrible E foot.....I have just purchased one of the adjustable ones, and am looking forward to trying it out very soon! Now just need to find a way to modify my 1/4 foot so that more of the back of the foot contacts the feed dogs.....??? Anyone have any suggestions?? 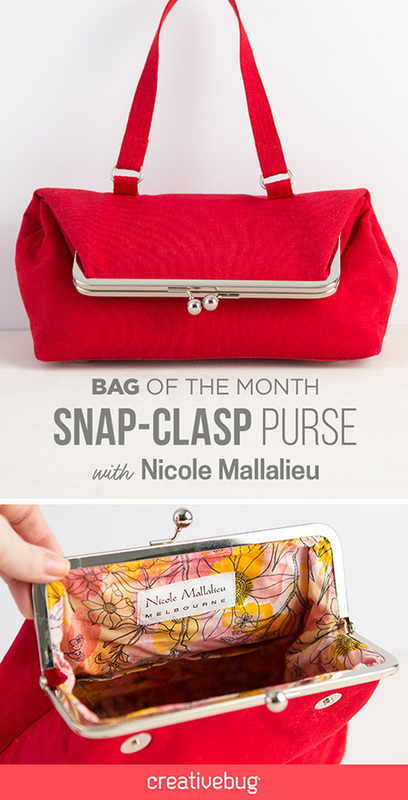 The purses look great Nikki! after reading your post, I went out a got an adjustable zipper foot for my machine (because of course the one that came with my machine was one of 'those'. I haven't tried a zipper yet, but it sure makes sewing links etc into toys because you can get so much closer! Very interesting post... I have one of "those dreaded zipper feet" and I can honestly say I don't have an issue with it! However, my curiosity has been sparked and I'd love to try one of the other feet you mentioned, just to see the difference. I have pfaff and the "E" style foot is standard with the machine and there does not appear to be any alternative feet available to purchase. Does anyone know of a narrow or adjustable zipper foot that is compatible with Pfaff machines? Depends on the Pfaff machine you have. For the Hobby line machines without IDT you can use the metal adjustable foot. The snap on foot for machines with IDT also uses the needle position to fine tune. These feet snap on left or right side but are straight, but bulky at the back. Thank you for waking me up! I bought a new singer sewing machine but the zipper foot was the snap on kind and zippers did not go in well at all with it. I came to that I could use the zipper foot from my old machine, thank you so much for the wake up call. Have a wonderful day everyone!